Let me start by saying I am such a sucker for good crochet slippers. I’ve made a pair for ever member of my family. Here is a recent pair made for my mum! The FREE pattern written by Tamara Kelly can be found HERE. At Mooglyblog.
. They turned out so cool. My mom loved them. Mom bias aside she said ;). My next set, was a pattern I first picked up when I was a crochet virgin. I really enjoyed making slippers as usual. It’s been a busy week/weekend for me. I’ve entered a designer contest. I am also working on TWO new patterns. One free and one paid. 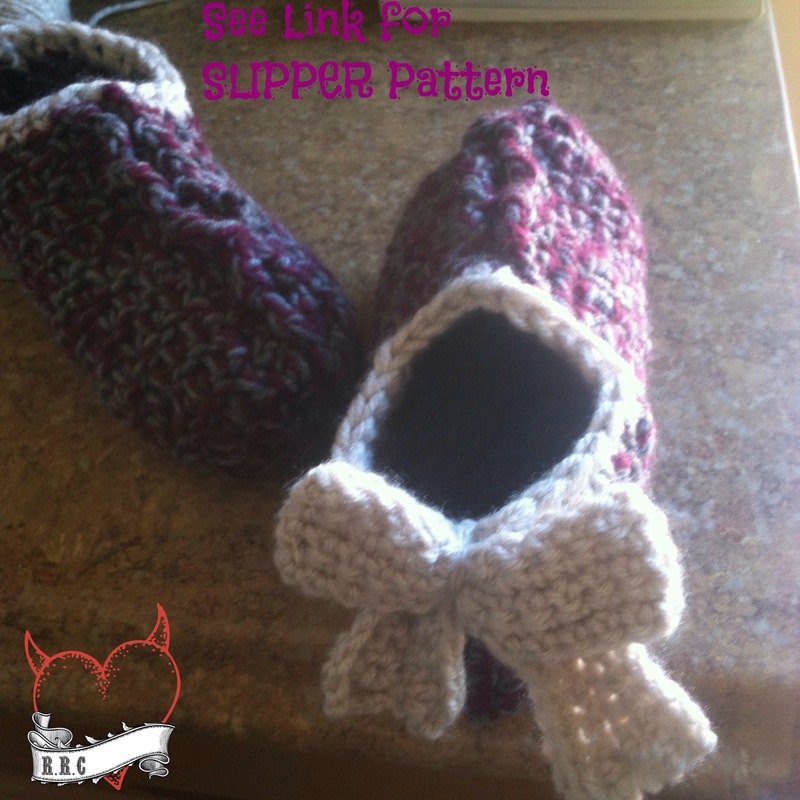 Previous Post Easy bow for moms on the go! Next Post Western Round Up! 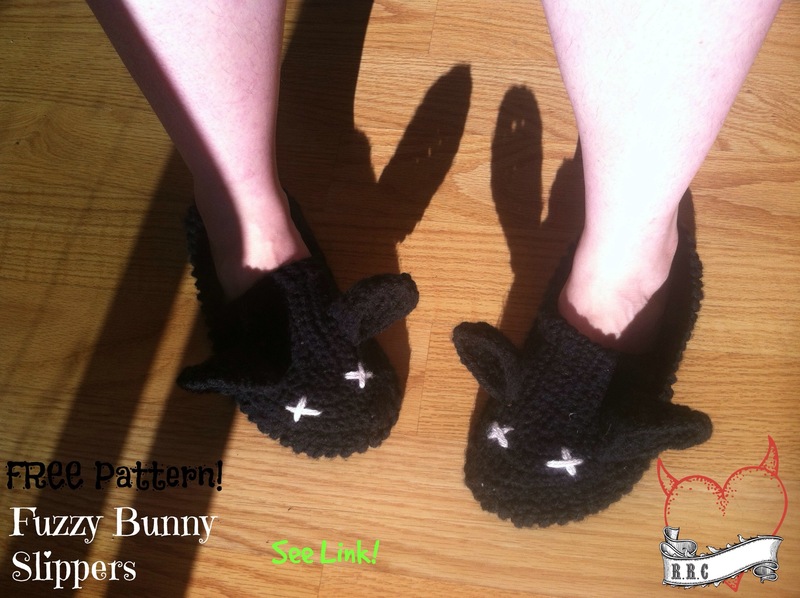 Love the slippers – super comfy! And the little bow in the back – perfect finishing touch!